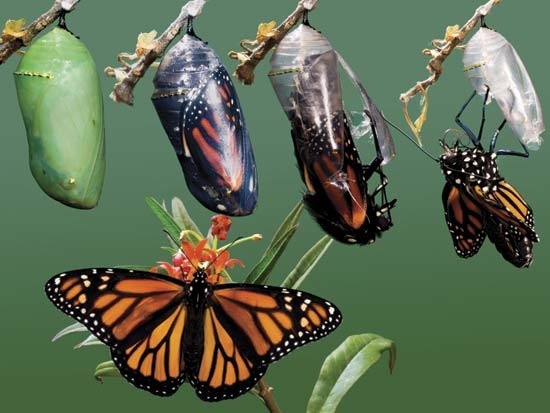 "Celebrating Change, One Stage at a Time"
Metamorphosis Counseling & Consulting LLC. Out of pocket and co-payments are due at time of service. Deducitible and co-insurance payments are due upon reciept of invoice. We also accept cash, money orders, major credit and debit cards and cashier checks as form of payment. If you have insurance from a different provider, you may be eligible for reimbursement from your insurance company by using your OUT OF NETWORK BENEFITS or medical/flex savings plan. Your insurance company can provided you with the details outlining your specific plan. Metamorphosis works to maintain high quality service while protecting client confidentiality. For cash paying customers, services are rendered for a fee paid directly to the therapist at the time of service. For client who would like to use their insurance benefits, super billing may be an option. When you submit out-of-network, your insurance company will require less information about your mental health than if it is submitted as "in-network". They will only require the mental disorder diagnosis. I will give you 2 copies of your superbill at each session to submit as 'out of network' to your insurance if you choose. It will include your diagnosis if you have one. This should be all that you need. I will collect the full fee from you at each session and you will receive any reimbursement directly from your insurance. Copyright 2009 Metamorphosis Counseling & Consulting LLC..